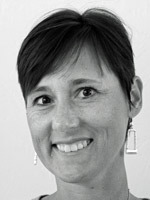 I am super excited to post my first post as Artist in Resident for Imagine Crafts today. The challenge this month is to use a new Kaleida-color ink pad, the matching Memento Ink and a Fireworks! Ink spray. That was not an easy challenge for me. I am so not a multi-colored kind of girl. But I made it work. 🙂 I used the new Tomato Vine Kaleidacolor ink pad. The matching Memento Ink colors are Rich Cocoa, Bamboo Leaves, Morocco, Love Letter and Peanut Brittle Memento Ink. To see step by step instructions for this card click on more. 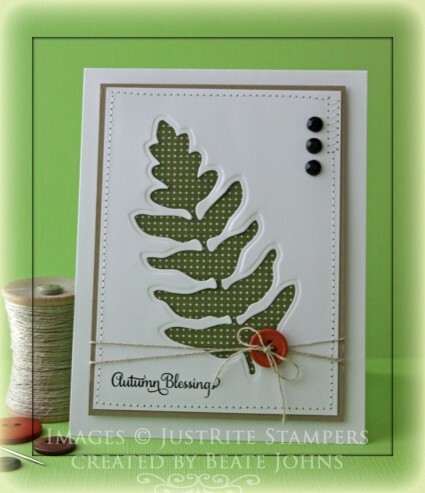 It’s my turn to share on the Spellbinders blog. Today I have a video tutorial for a tri-fold gift card holder created with the new A2 Bracket Border dies. I hope you have time to check it out and let me know what you think. Today is my turn to share on the Spellbinders blog and showcase new dies. It’s a tough job, but someone has to do it. LOL I LOVE all the new dies from this release. I hope you have time to check out the card, created with a JustRite Stampers sentiment, Want2Scrap rhinestones and Spellbinders new Radiant Rectangles and Stately Circle dies. I had a post on the Spellbinders blog yesterday featuring a Happy New Year’s card. I hope you had time to check it out and if not, go and hop on over there and tell me what you think. I am in love with Glimmer paper and stars recently. P.S. : Today’s new tutorial on Splitcoaststampers is written by Sabrina Friel for a Flip Down Stack card. I hope you have time to check that out as well. I have a new video to share with you on the Spellbinders Paper Arts blog today. I love the reindeer image from Frosty Forms Spellbinders™ Shapeabilities® and used it along with a Label Twenty-Eight Spellbinders™ Nestabilities® die to create my tag. I hope you have time to check out the entire tag and video, especially about the video. I bought a new tripod (since my plastic one was a little fragile for the new arm) and Tripod extender arm to create videos that are filmed directly above my hands. I love how much better it looks. Let me know what you think. 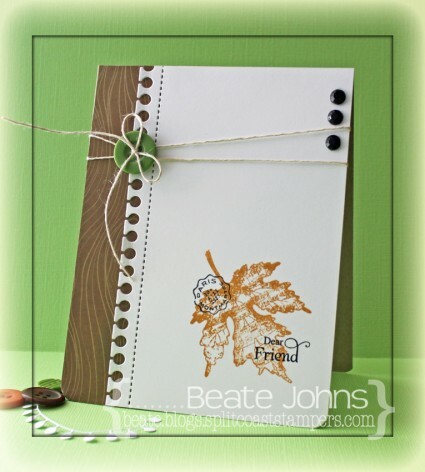 I created a CAS Fall Thank you card for my blog post on the Spellbinders blog today. I hope you have time to check it out and tell me what you think. I have a quick video tutorial on the Spellbinders blog, showing how to create this little treat box. I hope you have time to check it out. The sentiment is from a JustRite Stampers set that will be released in the middle of September. It’s called Grand Sentiments and it’s gorgeous!